Do you hunger for the taste of Europe? Miss European foods? French butter, Danish cheese, Czech beer, Romanian Wine, German Bread, Polish chocolate covered marshmallows, Russian red borsch? 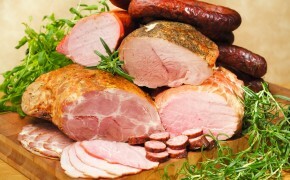 Then visit European Market Deli & Café – the hidden treasure of Castro Valley. Located within a stone’s throw of the intersection of Redwood Rd and Castro Valley Blvd, only 2 blocks from I-580 and Castro Valley BART, we offer hard-to-find delicacies from Europe – particularly Ukraine, Poland, Moldova, Romania, and other Central and Eastern European countries. At European Market Deli & Café you can find cherry jam from Ukraine, pickled vegetables from Poland (choice location for quality vegetables in Europe), sweet wines from Moldova and Georgia, cured meats and cheeses from all over Europe. You can take the food home, or savor it right there, hot from the kitchen, as we have a small dining area for our customers. How about fresh pelmeni (meat dumplings), or hand-made piroshki made daily. Also spelled “pirozhki”, it’s deep-fried dough stuffed with meat, potatoes or cabbage – great food if you want a quick but nourishing lunch. If you come in early enough, they will still be warm. If you want to take a bunch for your co-workers – they can be easily heated up at the office – just put them in a microwave for about 25-30 seconds. Our kitchen is open every day. 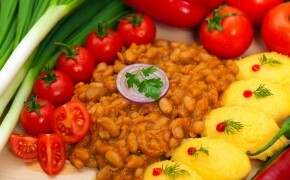 We cook soups, make salads, hot and cold dishes – all European style, Old World flavor. We offer a wide variety of hot and cold dishes for immediate consumption, or for take-out. Naturally, we also offer sandwiches, with choice of European-style breads from local bakeries. 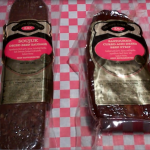 Our Swiss Rye and Wheat bread is considered by our customers to be the closest to a true European bread you can find in the entire Bay Area. If you have wheat allergy, you can choose organic pure rye bread. We offer plenty of European style appetizers and salads – for example, a beet and carrot salad with sauerkraut and sunflower oil, potato salad with chicken breast, and a red beet salad with walnuts and prunes. 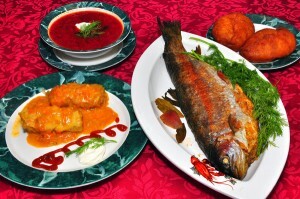 If you want a more substantial meal, we recommend cabbage rolls stuffed with meat (“golabki”), blini, potato or meat cutlets, or stuffed bell peppers. 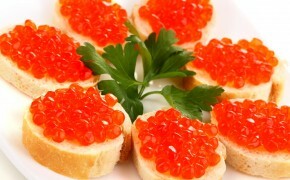 For that special occasion, we have Alaskan Caviar – from wild caught salmon. Try out imported European fruit and vegetable juices. 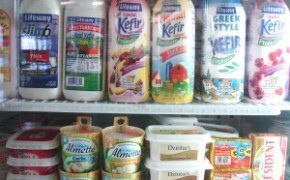 We also offer many kinds of kefir, a fermented milk drink that has been called the great-grandfather of yogurt. We carry eight varieties of naturally flavored kefir – low-fat, no-fat, special for children, organic, probiotic – with 10 live and active cultures. It’s a treat. European style pastries and cakes will round out your culinary experience. Made both in-house, and delivered from local artisan bakeries, they are a bouquet of sweetness. Try the poppy seed rolls, you will not be disappointed. While you are at it, get a box of Ptasie Mleczko ( “Bird’s Milk”) – chocolate covered marshmallows imported from Poland. And these are just a few of the myriad of sweets, foods, cheeses. juices, wines, teas and coffee you will find at the European Market Deli & Café. We also offer full service catering – we have catered events in the entire Bay Area – from San Jose to San Francisco, and all over the East Bay. Birthday parties, weddings, corporate retreats – no event is too small or too big. Call us for special pricing 510-889-1223.